When I make fruit salad, I usually just cut up fresh fruit and leave it as is. No marshmallows, whipping cream, pudding, yogurt, or sugar. But sometimes it’s fun to add a little extra something to change things up a bit. This honey lime fruit salad has a little more tang and flavor than a plain bowl of fruit while still being healthy and fresh. There are only three added ingredients to the fruit in this salad: honey, lime, and vanilla. The honey adds some sweet, the lime adds some tang (and keeps the fruit from browning), and the vanilla adds some depth. It’s really simple and tasty. 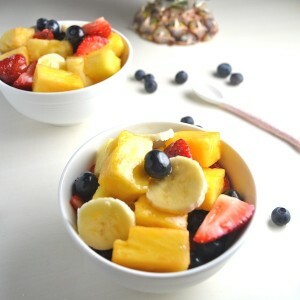 I adapted this recipe from a Honey Fruit Salad that I found on Taste of Home Recipes. They used some different fruit and added more ingredients. 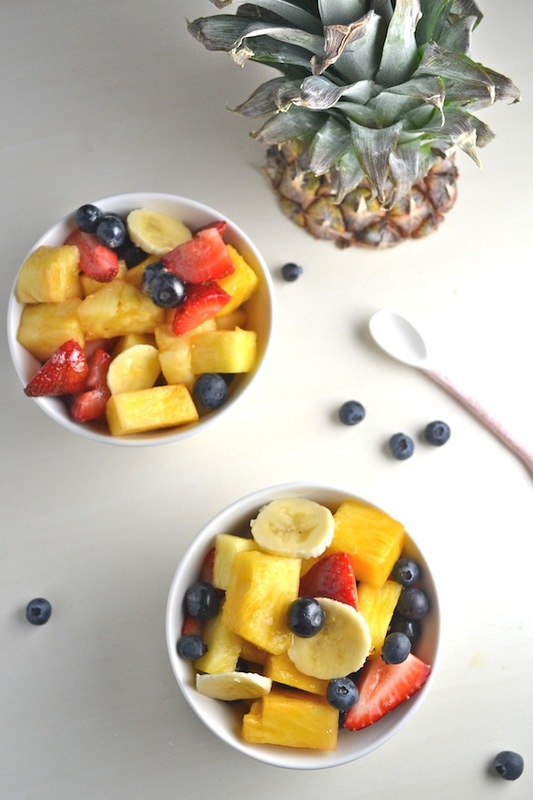 I used pineapples, strawberries, blueberries, and bananas because it’s my favorite mix for fruit salad, but I think this topping would be good on most fruit mixtures. What fruit do you like to include in your fruit salads? What are your favorite add-ins? 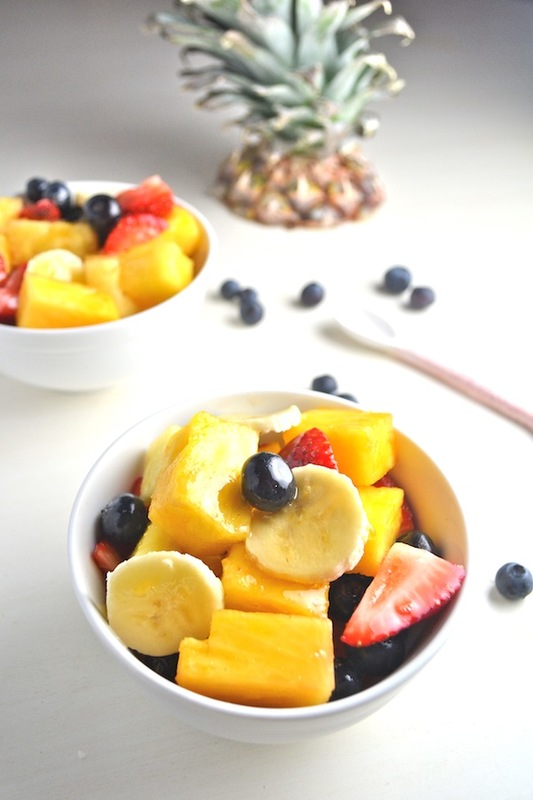 Do you have a favorite fruit salad recipe? Combine fruit in a large bowl. Add honey, lime juice, and vanilla in a separate small bowl and stir until combined. Pour honey mixture into the fruit bowl and toss to coat.